Cheryl Gould, a 37-year veteran of NBC News, is leaving the company. Gould — the first female producer of NBC Nightly News with Tom Brokaw — had been with NBC News since 1977, most recently serving as senior VP. 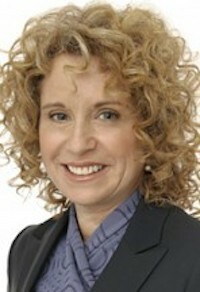 During her time at NBC News, Gould served as domestic and foreign editor, VP of CNBC, and senior producer of NBC News Overnight, which she helped create. In 1989, Gould won an Emmy Award for Nightly News’ coverage of the Romanian revolution. Her work has been published in The New York Times and Newsweek. She has also served on the Board for the International Women’s Media Foundation. “We have all benefited from Cheryl’s decades of successes and dedication to NBC News,” wrote Deborah Turness, NBC News’ president, in a memo obtained by Jim Romenesko.